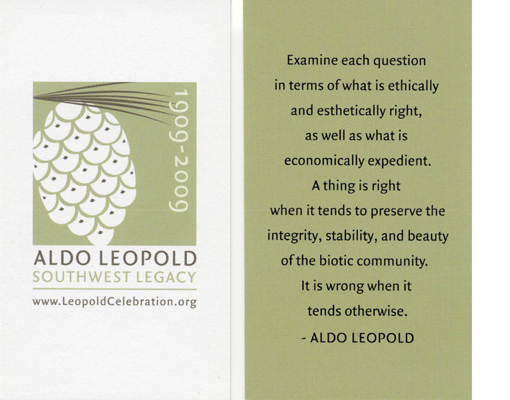 2009 marked the 100th anniversary of Aldo Leoplold's arrival in New Mexico. Anthony Anella initiated and served as co-chair of the Aldo Leopold Centennial Celebration in 2009. Anthony Anella currently serves as board Secretary of the Aldo Leopold Foundation in Baraboo, Wisconsin.